Keith and Brenda Christopherson, founders of Christopherson Builders, have been building successful communities in Northern California for 40 years. With more than 6,500 new homes and 63 communities to date, they have a proven track record of award-winning development and residential building. 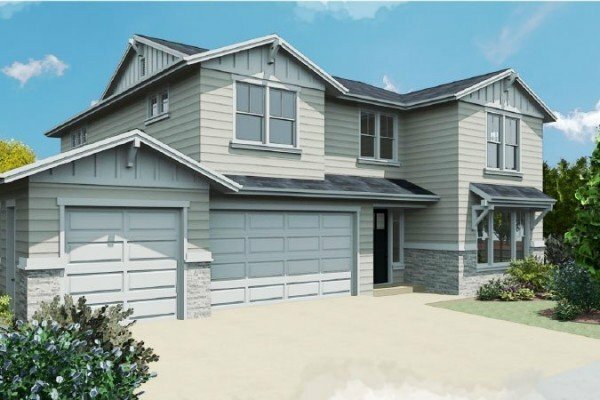 The Christophersons’ earlier Santa Rosa-based firm—Christopherson Homes—started as a general contracting and spec-home company in 1978 and grew to become the most successful development firm in Sonoma County known for beautiful well-built homes and unsurpassed customer service. Throughout the years, the Keith and Brenda Christopherson made a name for themselves and their team as an award-winning, quality homebuilder in Northern California. In addition to being voted Sonoma County’s Builder of the Year for several consecutive years and winning J.D Power Awards, both Keith and Brenda were inducted into the California Builders Hall of Fame in 2006. More recently, from 2014 into part of 2017, as partners in the Synergy Group, Keith and Brenda were instrumental in developing three successful new home communities. Christopherson Builders was established in 2017 in response to the community needs after the wildfires. “We felt we had a calling to help the community,” said the Christophersons. They stepped up, formed a team filled of wisdom, and are bringing their decades of experience and knowledge back to Santa Rosa and are designing, developing and building. Our mission is to rebuild homes as quickly as possible while providing the same quality & customer service people have expected & received for 40 years in Northern California. We are leveraging past relationships with the architects and engineering firms who created the original drawings. We have joined with local groups to develop recovery solutions and have compiled information from community leaders and developers. Christopherson Builders is serving on various tasks force committees to rebuild Sonoma County, creating community-based solutions and work with our local, state and federal agencies to adopt them.